The New York State County of Greene hereby requests proposals from interested and qualified brokers to provide insurance brokerage services to the County that include, but are not limited to, insurance placement and servicing, risk exposure analysis, claims assistance and claims reporting, and general advice. 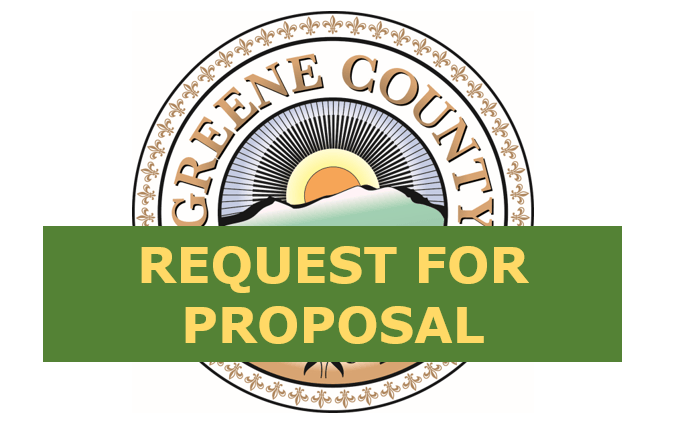 Interested and qualified brokers may download the RFP document below, follow the instructions therein, and return required materials to the Clerk of the Greene County Legislature no later than 4:00 PM, August 19, 2016. Greene County, NY is comprised of the town of Ashland, town of Athens, town of Cairo, town of Catskill, town of Coxsackie, town of Durham, town of Greenville, town of Halcott, town of Hunter, town of Jewett, town of Lexington, town of New Baltimore, town of Prattsville, and town of Windham.